The Old Bath Hotel was built in 1698 next to where the Holy Trinity Church still stands. It was replaced in 1878 by the Royal Hotel, which was destroyed by fire in 1929. This image is one of a collection by the famous local antiquarian, Thomas Bateman, of Middleton by Youlgreave. (1821-1861). Bateman organized his collection by inserting them into a 4 volume copy of Lysons Magna Britannia, Derbyshire, creating a fascinating and unique illustrated record of the county. The purchase of the collection for Derbyshire Libraries was made possible by the generous bequest of Miss Frances Webb of Whaley Bridge, well known local historian, who died in December 2006. Matlock Bath lies in a steep sided valley. It is bounded by the River Derwent to the east, with the limestone crags of High Tor and Wild Cat Tor, later just known as Cat Tor, rising almost vertically from the river's edge in places. Matlock Bath has been described as 'the Switzerland of England'. 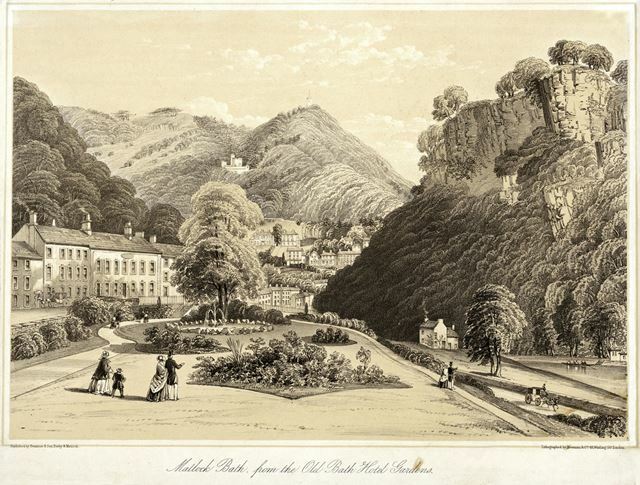 Matlock Bath was originally part of the parish of Matlock until 1843 and the history of the two places is intertwined. 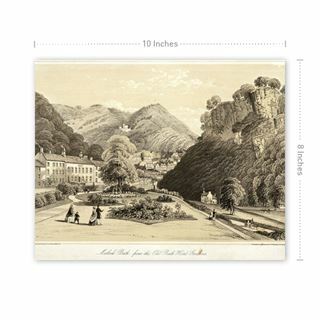 In early times there were few inhabitants in what we now know as Matlock Bath because it was almost inaccessible. 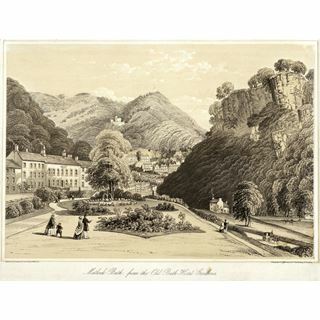 The village did not develop much until a road was cut through the rocks at Scarthin Nick at the south end of Matlock Bath and the bridle path from Matlock Bridge was widened. The first development of any major importance followed the discovery of the medicinal springs. Lysons stated that the spring waters were first used for medicinal purposes at the end of the 17th century, and the bath (wooden lined with lead) was made in 1698. 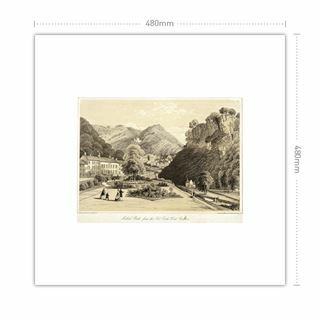 The village was an extremely fashionable and prosperous spa in the nineteenth century, and was visited by the then Princess (later Queen) Victoria on 22 Oct 1832, when she was a guest of the Duke of Devonshire at Chatsworth House. 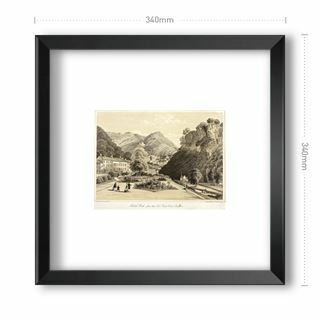 (Information from Cressbrook Peak District Information Web Site and the Matlock and Matlock Bath Genealogy and Local History Web Site).